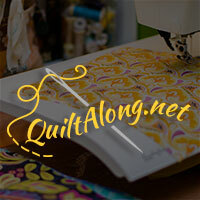 The next event on Desert Bloom Quilting will be a short Block of the Month (BOM). It is a free event for anyone that wants to join. One block will be released a month for 3 months. Each block will come with detailed assembly instructions and pictures. This page will be updated with the block instructions. Instructions will be released at 8am EST on the day of release, and you can locate them by coming back here to this page. The finished quilt size is approximately 41" x 41" and while it may look a little intimidating, if you can sew a good 1/4" seam and have basic cutting skills you will be fine! Friday, September 11, 2015 - Fabric Yardage and selection tips will be released. Saturday, September 19, 2015 - Block 1 (Corner Blocks) cutting instructions and tutorial will be released. Friday, October 16, 2015 - Block 2 (Flying Geese Block) cutting instructions and tutorial will be released. Friday, November 13, 2015 - Block 3 (Center Block) and border, cutting instructions and tutorial will be released. 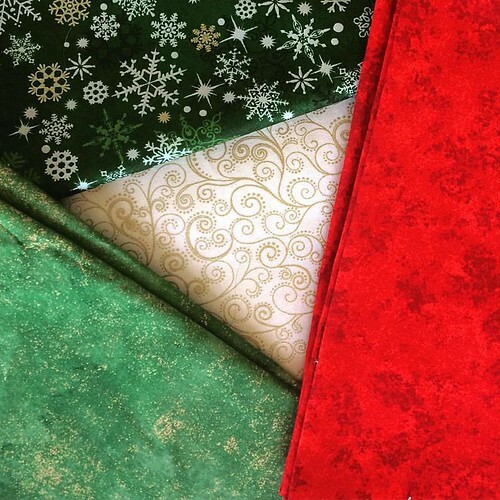 There is a Desert Bloom Quilting Christmas Table Topper Flickr group. Follow the link to join or click on the picture below. Post pictures of your progress and see what everyone else is doing! We are now on Instagram. If you are sharing on Instagram please use the hashtag #dbqchristmasbom.